I am starting a new blog column discussing my time playing various games, whether they are computer, video, board or other kind of games. I will be giving reviews of games as I play them, and will try to write a blog entry for every time I attempt to play a game. These entries will describe the challenge level, difficulties, fun parts, frustrations, and tactics or strategies I use to attempt to get the most out of the games. The first game I have begun playing in preparation for writing about it is the original "Baldur's Gate" for PC. This is the original version, which I bought as a 4 in 1 DVD set containing all the Baldur's Gate I & II and their expansions as well. I remember buying the game when it first came out a long time ago, back when the latest Windows was Windows 95. It spanned 5 CD-Roms. The edition I have is not the Enhanced Edition available on Steam. It is the original version, just put onto one DVD instead of 5 CDS. I started playing yesterday. I have given up on this game so many times, because it is a pain to level up. It is a role-playing game, based on the rules of pencil and paper RPG Dungeons & Dragons, and set in the Forgotten Realms world. There is so much to do in this game, and while that is one of its blessings, it is also a curse. To advance, you need to do quests and fight monsters and enemies to get your characters experience points. This makes them stronger, better fighters, gives more abilities and magic spells, and otherwise improves your characters statistics and abilities, in order to make them more powerful and deadly against enemies. Unlike Japanese style RPGs ,where you can just walk back and forth until a random fight occurs, in Baldur's Gate there is no real easy way to find enemies to fight. And it doesn't take too long for the enemies you encounter to be too powerful to survive. My strategy for leveling up has been to rest in an area containing enemies I know my characters can handle. I get woken up by Bandits and kill them for 65 experience points each. This is just extremely tedious and I have not leveled up very much. Both of my characters, my main character and my NPC nonplayer character, have gotten up to level 3. I am trying to level up enough that I can defeat a powerful magician in the first place I am supposed to travel to, the Friendly Arm Inn. But I am just going to keep grinding through these battles until I get to at least level 5 for each character. This is going to take forever. I will update you on whether I have figured out any other ways to gain more experience this early in the game. experience points on being killed. Maybe I can find some better armor and weaponry, as well. I was going to try using a cheat that would allow me to heal any character just by right clicking on their portrait. But for some reason, I can't get the cheats or the console where I enter them to work. So I will be playing without cheats, and I will make updates on my progress in the game until I beat the game, or give up in frustration. The version of the game I am playing can be purchased here. Back when I was younger, Pikachu was the most popular Pokemon in the world. I never really minded Pikachu, but I wouldn't say it was one of my favorites. To be fair, I just never figured out why Raichu wasn't more popular than he was. I realize that Raichu has plenty of fans, but I would've been so happy to see Ash have a Raichu, even if it was in addition to Pikachu. I understand that Pikachu has sold a lot of Pokemon games and merchandise just by itself. But still, Raichu is a far superior Pokemon. If Ash's Pikachu had become a Raichu, Ash would've probably become the most unstoppable force on the planet. He would've broken Pokemon. Raichu has always been one of my favorite team members while playing the games. He was usually the Pokemon I used more than any other when I played the original Red and Blue. It bugged me in Pokemon Yellow when I couldn't get him to be a Raichu! Sadly, as time went on, Raichu was on my team less and less because of availability. Over time, I ended up having another electric-type favorite. Still, Raichu will always have a special place in my heart. The amount of pure raw energy that guy can put out is absolutely ridiculous. If I could have any Pokemon in real life, Raichu would be a top candidate. When I was in sixth grade, a couple of kids in my class had brought their Game Boys to school playing a game that had just come out. One of my best friends at the time was starting a new game. He was trying to figure out what "starter" he wanted to choose. I had never heard of this Pokemon thing before and was very fascinated by it. As a gamer, I couldn't help myself. I looked at the three different options that you could start the game with as your companion. I liked the guy with the bulb on his back, and the turtle was cute. But my favorite was the orange salamander one with the little flame on his tail. Immediately, I thought that the game was sort of psycho, so I named the Charmander Psycho. For the longest time, Charmander was my favorite Pokemon. Strangely enough, the very first Pokemon episode I ever saw was the one where Ash Ketchum sent his Charmander after a Primeape. Upon defeating it, Charmander turned into Charmeleon. So I liked Charmeleon, too. 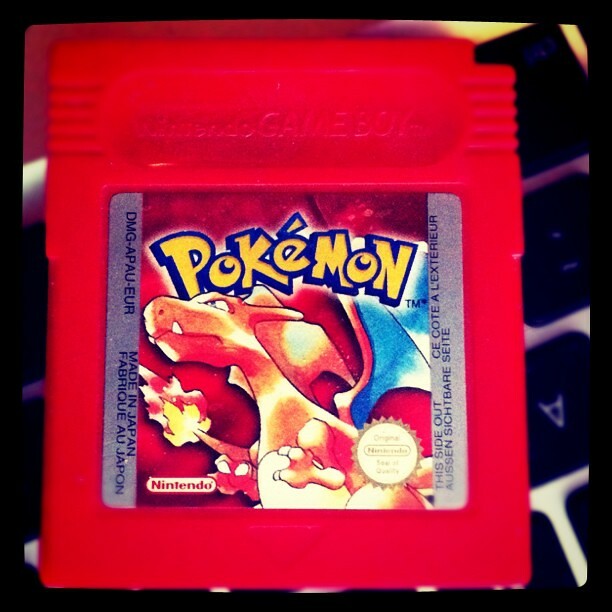 After that, I started watching the series religiously and was so excited when Charmeleon evolved into Charizard. I didn't blame Charizard for not following Ash because he was obviously too cool for school! To this day, the Charmander evolution line is still among my favorite Pokemon. But considering how popular they are, over time I decided I wanted something a bit more obscure to be my favorite. As it is, though, I will always depend on my fire types to get me where I need to go, all because Charmander and the fire-type was my introduction to the game in the first place! And, pretty much every time I have a Charmander, I name him Psycho. Even if he's a girl... That's why! While a lot of people may prefer Tepig and Oshawott to Snivy to start Pokemon Black and White and its sequels, I've always liked Snivy. I think the Grass Snake Pokemon's design just really caught my eye when I first saw it spoiled. I just really like Snivy as a Pokemon. Snivy isn't the best of the starters, but it's arguably the most balanced. It was an integral part of my team in my first play-through of Pokemon Black. I also found a shiny Snivy on the online trade system and evolved it into a Serperior! It's a beautiful shiny Pokemon, too! I also enjoy collecting the various trading cards of Snivy. I had many copies of the league promo version of Snivy, as well as a few other promo cards. As with any Pokemon that I collect (Raichu, Misdreavus/Mismagius, and Snivy). I'd collect multiple copies of each version of card, as long as they are holographic or reverse foil. I only collected single copies of "normal" cards unless they are not from a regular set (like Black and White, etc.) I just really like Snivy cards. They just look cool to me. Which is your favorite Black and White starter? When Pokemon Diamond and Pearl was first released, I actually went out and bought a Nintendo DS for the sole purpose of playing these fourth-generation Pokemon games. One of my biggest reasons for wanting the game was that one of my all-time favorite Pokemon, Misdreavus, now had a stone evolution called Mismagius. Fairly early in the game, it was possible to catch Misdreavus, and the Dusk Stone was fairly easy to get in that game, as well. So I caught a Misdreavus and named her Missy and as soon as I got the Dusk Stone and got Misdreavus to a level where she wouldn't learn anything more useful as a Misdreavus, I evolved her into this new, witchy form of hers. I wouldn't say that I like Mismagius' design more than Misdreavus. In fact, I like the un-evolved Misdreavus better. The only reason I like Mismagius is because she is a more powerful version, and I like more power. While I love cute Pokemon, I want my Pokemon to be strong, and any way to make them stronger, I take. To be fair, if Pokemon battles were not the basis of the game, I probably would've just forever kept her a Misdreavus forever! But Pokemon is all about having strong Pokemon, so I relented and went with the stronger version, even if it isn't nearly as cute. Pokemon Y - New Years Eve Wonder Locke Challenge! For my Pokemon Y Wonder Locke, I decided to name my character Destiny Raye after the main character of that my NanoWrimo project that year. I figured, why not use a girl trainer this time. It’s been a tradition for me to use the girl character on at least one version of each Pokemon generation since the days of Pokemon Crystal. I’m doing a modified version of the Wonder Locke, which is a new variation of the famous Nuzlocke challenge in Pokemon games. Like regular Nuzlockes, your Pokemon only live once. Once they faint, they are lost to you forever. Most people put them in a graveyard box and release them at the end of the game. In my case, I will simply Wonder Trade them off again. Also, you can only catch the first Pokemon that you find on a route, and none other. However, I am inciting the duplicate clause, so any of the same Pokemon I find won’t count. In a Wonder Locke, you literally Wonder Trade away every Pokemon you get, including gift Pokemon, and use whatever you get in return. I decided to use the rules that allow you to keep both the Kalos and Kanto starters, in this case, I will be starting with Fennekin. Based on what I get before I acquire the second starter, I will keep the Bulbasaur, Squirtle, or Charmander that I get from that. Every other Pokemon will be Wonder Traded, including the Lucario that you acquire later. I also will be using the Exp. Share, although most people don’t – it just makes the challenge much less grindy. So as soon as I grab my Fennekin and hit Route One, the Wonder Locke will begin! #2 – First Wonder Trade! After deciding that my character Destiny Raye would be going by “Lady D” by her in-game friends, I chose Fennekin as my starter who I named Blayze. I went back to my mom to deliver Professor Sycamore’s letter, then returned to Aquacorde town to go buy 10 Poke Balls (so I’d get the extra Premier ball!) This way I can catch the Pidgey that always shows up as soon as you hit Route 1. As is my custom, I throw a Premier Ball without weakening the Pokemon to see if I catch it. And I did. So anything I catch on a Route will be named Wonderlocke, so that when I trade it out, people understand why I threw a random Lv. 3 Pidgey out on Wonder Trade. What did I get for Pidgey? It was Coral from Mexico that would become my first Wonder Trade partner! Hopefully, he didn’t mind sending me the Ralts that I got in return! It was a Japanese one, as well! Of course, Gardevoir is an awesome Pokemon, so I’m going to be babying this Ralts a lot to make sure it never dies. Also, this one had perfect Sp. Def and Speed IVs, so that was a nice bonus! Can’t wait to see what I get come Santalune Forest! It seemed like a good idea to grind a little bit before getting into Santalune Forest. I fought the trainer with the Zigagoon and a bunch of Bunnelby and Pidgey and got my Ralts up to level 6 so she could learn Confusion. Blayze, my Fennekin, reached level 8. Now entering the forest, I found my first encounter to be a Caterpie, which I simply threw a Poke Ball at and caught at full health. Personally, I felt bad for whoever got the Caterpie, because while I like Butterfree, Mio from the Netherlands probably wasn’t going to like a Lv 2 Caterpie named Wonderlocke. What was especially good for me was that I got a Bulbasaur in return for it. It was an Adamant one, which is kind of crappy considering that Bulbasaur is typically a Special attacker, but had Petal Dance as an Egg move on it, which is fantastic. Being only level 1, though, I had to grind it up a bit before continuing. The team is coming together fantastically so far! After taking down the Caterpie and Azurill of the first trainer on Route 3, I went and caught a Fletchling, which leveled up my Ralts to Lv 8. Gotta love that catching experience! Caught a lv 5 Fletchling which went out to Conor from the UK. In return, I received a Graveler. Yes, a Graveler, which evolved into a Golem. Only problem is, that’s a bit overleveled. While there’s no rule that says I can’t keep it, I’m not going to be able to use it this early. But being a Level 44 Golem, I wasn’t about to trade it back out, so it just went into the PC as soon as I reached Santalune City. No doubt something will die on my team eventually, and it will find a place at some point. To the east of Santalune City is Route 22. Since I only had 3 Pokemon (as I kept the Golem I got for the Fletchling) I needed to find another member for my party. After acquiring the Roller Skates and fighting the first trainer on the route, I set out to find that fourth Pokemon for my team. I found a Riolu. I was lucky I didn’t kill it with one Confusion. That catch got my Ralts to level 10. My brother and I decided to go Wonder Trade at the same exact time. Somehow, it actually worked, netting one of the Larvesta he was breeding, so that was pretty cool. While it does give me a second fire type, Larvesta is still pretty useful despite the fact that it doesn’t evolve into Volcarona until level 59. I may not use it much for a while, but it’s one to hold onto. After grinding for a little while, I took on the Santalune City Gym, which is full of Bug types. Fortunately, I’d leveled enough that it was fairly easy. My team coming out looked like this: Lv 12 Bulbasaur, Lv 14 Fennekin, Lv 13 Larvesta, Lv 12 Ralts. I caught a Combee lv 8 Female (which is good, because it could actually become a Vespiquen). It took me TWO poke balls this time! On the Wonder Trade, ALTOR from Burgundy, France said BONJOUR and sent me a Shelmet in return! This was a bit of a surprise. Unfortunately, it’s level 30, which is very high for this point in the game. But because I have the first badge it MAY obey me, since that includes traded Pokemon obeying you up until level 30. So I’ll keep it with me. There is the possibility that because it’s level 30 that it’s a Friend Safari Pokemon, meaning it has at least two perfect IVs, as well! Problem is, it’s a trade evolution, so it’s gonna be stuck as a Shelmet for most of the game. I didn’t do much grinding on the route at first, because I wanted to go get my Squirtle first! I named him Kamex, which is the Japanese name for Blastoise! After some grinding, I’ll be moving onto the next route! My next catch was a Furfrou Lv 9 in a Luxury ball after using one blast of Confusion on it. Coming back in return from Japan was Houndour, like I needed ANOTHER fire type! But it’s Level 1, so it came with me in place of the Shelmet that I probably won’t use for a while anyway. It’s a Dark type too, which does help my type coverage a bit. Already, it’s clear that the randomness of Wonder Trade could be a serious issue in building a proper team with the right types to cover various match-ups. That is, of course, part of the challenge, though, isn’t it? My team at this point: Lv 18 Ralts, Lv 17 Larvesta, Lv 16 Wartortle, Lv 19 Ivysaur, Lv 18 Braixen, Lv 12 Houndour. After getting the Amulet Coin, HM Cut and Poke Flute at Parfum Palace, I caught a Lv 12 Honedge. On the wonder trade, I sent it off to Japan for a Cyndaquil! After swapping the Houndour in my party with the Cyndaquil (which had 2 perfect IVS), I was even able to catch the Snorlax! For Snorlax, I sent it to MacGarnagle in Queensland, Australia for an…Oddish? Well, at least it wasn’t another fire type! I actually decided to do something a bit unusual for a challenge like this. I left the Oddish at the Daycare! I decided, why not? It’s only level 12, and later on, I may have need of a Gloom/Vileplume/Bellossom! In the yellow flowers, I found my next Wonder Trade victim: Ducklett. It went out to a girl from Tokyo, Japan, and in return I got a…Magikarp? Unfortunately, it’s level 1 and doesn’t have the hidden ability of Rattled – which becomes Moxie on Gyarados. It’s a Jolly nature though (+speed, -sp. Atk) which is fine as Gyarados tends to be a physical attacker. But it will be awhile until we get a Gyarados in this case. Before entering Connecting Cave, I fought a few trainers that I’d purposely skipped for training purposes later and easily won the double battle against my “neighbors” Trevor and Tierno. Also, my Cyndaquil evolved into Quilava already! I also got Ralts to evolve into a Kirlia, making her a lot more formidable. At the Zubat Roost in Connecting Cave, what would I find? A Meditite. After getting in one hit on it and putting it to sleep with Ivysaur’s Sleep Powder, I was able to catch it in a Great Ball. Hoping for a lot better than Magikarp (with the Swift Swim ability and level 1, no less), I sent out the Meditite (nicknamed Wonderlocke) out into the world. Jinka from Nara, Japan would be the recipient. In return, I actually got something very good, a Mawile! It happens to be level 26, too, meaning it will actually be useful for the next part. I’ll be going back to switch it out at Camphrier Town. After getting the Coastal Kalos Pokedex upgrade, I sought out my next Wonder Trade already! My victim this time would be Mienfoo, who is a fairly useful Pokemon on his own when he evolves into Mienshao. After putting it to sleep, it only took one Great Ball to grab it! So, the Mienfoo went out on Wonder Trade to Andrew from Virginia. While the Flabebe I got back was fairly disappointing, I decided that I may use it later, putting it into the Day Care along with my Oddish. It could be useful to have that Fairy type later in the game, and could evolve it to Florges if I find the Shiny Stone! On the Rhyhorn ride, I went and captured a Sandile for my next Wonder Trade. In Glittering Cave, I found a Cubone, which I caught. I then defeated Team Flare and got the Jaw fossil to revive into Tyrunt. Upon returning to Ambrette Town, this gave me three Pokemon to Wonder Trade away. Ryu from Osaka, Japan wished me a Happy New Year and sent an Eevee in return for my Tyrunt. The Eevee was level 1 but had perfect HP IVs. For the Cubone, Serena from Lazio, Italy sent a Pansage. While I’m not a huge fan of the elemental Monkeys, it is something I may end up using if I need a Grass type later in the game, since I already have a Leaf Stone to evolve it. Lastly for the Sandile (which had Moxie by the way), someone from Fukushima, Japan sent me a Gible! That was pretty nice, especially being a Jolly nature level 1. I actually decided to swap out my Larvesta for the Gible, simply because a Gible/Gabite/Garchomp will end up proving more useful in the long run. So now it’s off to do some grinding and taking on the Cyllage City Gym! Because of a little technicality in the Nuzlocke-Wonder Locke rules, you’re able to fish inside of Cities, meaning I’m able to catch something with the Old Rod and trade it off. Of course, with the Old Rod, you’ll pretty much only find Luvdisc. Ordinarily, Luvdisc is mostly useful for the Heart Scales that they can be holding half of the time. But in this case, it’s one more trade I can make. The Luvdisc that I happened to find actually had a Scale, which I removed before trading it away. Oddly enough, the Wonder Trade system didn’t find me a partner the first time (this is extremely rare but it does happen). Finally I got Tohon from Georgia to take the Luvdisc off my hands for a Scyther, which is a trade I’ll always take. It’s an Adamant nature level 1, which is good, but it probably won’t be used for a while. On Route 10, I easily caught an Emolga – just put it to sleep and caught it with a Great Ball. It would end up being sent via Wonder Trade to a fellow name Black from the UK, and I received a Venipede in return. It actually had 4 IVs, but not the Speed Boost ability that can make it really good. Then later on Route 11, I traded the Staravia that I caught for yet another Shelmet. Citing the duplicate clause, I sent it back out to Lenne in Virginia for an Absol! As much as I love Absol, I didn’t really have room to use it at the time being, but it was a nice pick-up. Just my luck that my first encounter in the Glittering Cave was a horde of Mime Jr! After dispatching the first four, it took THREE GREAT BALLS to catch the last one! I was glad I was doing a Wonderlocke, because I wanted nothing of it after all of the trouble it caused me. So I sent to Aurore in France and got a Quagsire in return. I’ve always been fond of Quagsire, but I shouldn’t have need of it in this playthrough. Shalour City Gym was actually a bit tricky, due to having some type match-up difficulties, but I got through with no losses. I then had to go do the Lucario battle. It pained me to trade it away, though. Then again, I have Mega Blastoise coming up soon! So what did I get in return? Someone in Tokyo, Japan sent me an Eevee, which I already had. Therefore, because of the duplicate clause, I got a second chance. So what did Fifi in California send me? A Ralts! So again, I had to go for another trade. What would Asuna from Sao Paulo, Brazil sent me now? Finally, I got something I could use, a Slowpoke! It was Level 27, too! So far, these Wonder Trades haven’t been so bad! On Route 12, my first encounter was a Chatot. Would putting it to sleep and using a Great Ball work again? Yes, it would! What would it provide me through the Wonder Trade? A lady from Hyogo, Japan sent me a Vulpix! Did it have the sought after Drought ability? Yup, and it was a Timid nature with Extrasensory as an Egg Move. It was a pretty solid return, I must say, despite the fact that having a Chatot on my team would’ve been interesting. Then, of course, there is a free Lapras. Since I didn’t need it for Surf, it was an easy decision to trade away. What would I get there? Jon from Florida would send me… Magikarp… But, guess what? DUPES CLAUSE! Hopefully, Gerald from New York had something better right? Nope. A Fletchling. With Big Pecks. Sad face. Hey, at least it can learn fly… and trust me, I will be using it later on! After saving the power plant using primarily my Mega Blastoise and Gardevoir, I went after my next Wonder Trade victim: Dugtrio! As usual, Venusaur used Sleep Powder and I threw a Ball at it, but this time it was an Ultra Ball! On the Wonder Trade, it went to Tanner from Wisconsin, who sent me a Beedrill of all things. To be fair, it IS way better than Weedle. So onto the Lumiose city gym, the electric gym… that was fairly easy! Delphox took care of the Emolga and Magneton handily with Flamethrower and Venusaur dealt with Heliolisk. After securing the badge, it was onto Lysandre Café to advance the plot, get a King’s Rock, and onto route 14! Route 14 was my first bust, though. I got nothing. Goomy was too much of a pain to catch. Were it a regular Nuzlocke, I definitely would’ve tried harder, because Goodra is simply too good to pass up. But after five Ultra Balls and being unable to get it asleep because of its Hydration ability was just too much aggravation for a potential lousy Wonder Trade… It was sad, but I already had a dragon type with Gabite, so I moved on. With my team now sufficiently over-leveled from the extra trade experience, the Wonder Trades were now becoming a moot point. After taking down the Fairy gym rather handily and saving the Poke Ball Factory, I’m not really concerned about Wonder Trading. My team is set and I have enough Pokemon in reserve that I can go level up if need be. On Route 15, I caught a Skorupi which I sent to Rodri from Florida for a Charmander in return. While I was happy to get that back, I was well set on fire types with Quilava still in reserve. At the Frost Cavern , I had a rough encounter with a BEARTIC. Venusaur was mashed with an Icicle Crash after a failed sleep powder. So, I had to switch out. After one surf from Blastoise, I was able to get Beartic down to half HP and caught it on the second Ultra Ball. The return on the Wonder Trade was lousy: a Tauros. Onto snowy Route 17, I caught a Snover in a Luxury Ball, which I traded for Supriya in Washington for another Cyndaquil. With the duplicate clause, I had to send it back, this time out to DJ from New Jersey – for a Ducklett. The Wonder Trades were beginning to really get pretty bad, and it only got worse from there. Fortunately, my team was blowing through the game at this point, so the rest of the game was going to be a breeze barring some random one-hit KO. Yvetal proved instrumental in my victory over Lysandre. But alas, it could not stay with me… Arcane from Florida was the lucky guy to be the recipient of the most powerful Pokemon sent out in this WonderLocke. Of course, I got a Farfetch’d back…and no duplicate clause to save me. It’s not that I was going to use Yvetal anyway, but after this, I’ve decided that at this point the Wonder Trades are absolutely pointless. Nevertheless, I continued to Wonder Trade even at route 18, where I caught a Sandslash after two Ultra Balls traded it to Janne in the Netherlands for yet another Ralts. Again, the dupe clause went into effect, and the Ralts now went to Hiroshima, Japan for a Gible. I had to cite the dupe clause AGAIN, and I had Melissa from France send me a Caterpie. While this whole process was a bit frustrating, the Sandslash had a Quick Claw which I removed before trading. So I still made out okay, giving that Quick Claw to my Delphox. I know that will come in handy later! As the Wonder Trades were now becoming both useless and annoying, I decided to make Route 19 my final catch of the game. Of course, it had to be something as useful as a Sliggoo! After my failure with Goomy, I HAD to go for this. My Mawile (which had become my MVP) walled it and I got it in two Ultra Balls. The Sliggoo got traded for ANOTHER RALTS – which then turned into a Whismur. I stopped bothering to mention where they came from at this point, as that Whismur was only going to be released at game’s end anyway. Next, a recap of my Elite Four and Champion challenge! This is for it all! #21 – THE ELITE FOUR AND CHAMPION! First I took on Malva, the Fire member of the Elite Four. Three of her Pokemon were taken down by “Kamex” my Mega Blastoise. Gardevoir took down her Talonflame with her Thunderbolt. One down. Wikstrom, my second opponent, would prove to be the toughest of the play-through. I thought his steel types would be a cinch for “Blayze” my Delphox. Blayze did have an easy time with the Klefki. Kamex came in for Probopass. Two Full Restores later, plus one of my own, the Probopass went down. Blayze came back out to meet Aegislash, and for the first time in the challenge, Blayze went down big time as the Shadow Claw was too much. Mawile got the revenge kill. Scizor was a tough fight, but Mawile brought it down, too. So I was down to five Pokemon, although losing Blayze at that point was manageable. Next were the dragons of Drasna. Mawile’s Play Rough would be key. Drasna came at me with Dragalge, which went down in one shot. Noivern was next. The Flamethrower hurt, but the Play Rough countered it perfectly. Druddigon faced Gardevoir, which nearly beat it with one Dazzling Gleam, but it barely hung on. After a Full Restore, Gardevoir’s second shot downed it. Then came Altaria. Again, Dazzling Gleam was just not enough. But the second Gleam did the trick. Fairy-type is OP. Last came the water member of the Elite Four, Siebold. Venusaur and Gardevoir were ready. Siebold came in with Clawitzer. Petal Dance from Venusaur? Yup. One hit KO. Ready for the Starmie, I brought in Gardevoir, for the T-bolt. It barely hung on. I saw the full restore coming too. Starmie’s Light Screen helped it absorb some of the next Bolt, but Gardevoir was too fast and beat it before it could land a hit on me. Next was Gyarados, which Gardevoir was happy to stay in against. Yet another one hit KO. For Barbacle, Venusaur came back in, now a level stronger. It may have been the difference, because Petal Dance one-hit KO’ed it. So the champion… Diantha. This is for it all. 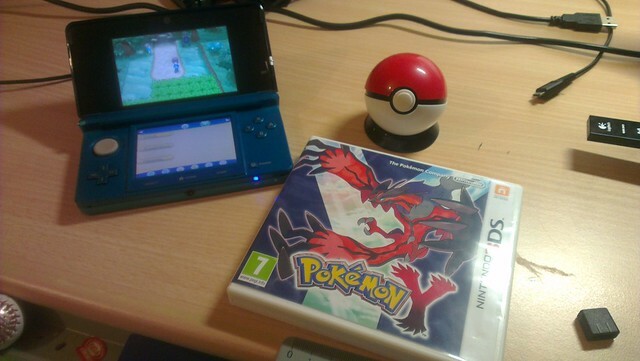 Here comes Hawlucha. After a nasty Poison Jab on my Gardevoir, the Thunderbolt put it away. For Gourgeist, I offered a Mawile Crunch. After a rather pointless Trick or Treat from Gourgeist, another Crunch dispatched it. Goodra was next. It avoided the first Play Rough. After a Full Restore on my guy, Mawile dodged the second Fire Blast, and the Goodra didn’t dodge. Tyrantrum was next. Another Play Rough was on the docket and there went Tyrantrum. Aurorus was next. Iron Head was ready for it, landing a one hit KO. Finally, it was time for her Mega Gardevoir. In came a Shadow Ball which hit hard. But Iron Head was too much for it and it went down in an epic one-hit KO. Game over. Wonder Locke complete. After this Wonderlocke, I've decided I'm only going to do standard Nuzlocke Challenges going forward. The Wonderlocke format is much too random and after watching some Pokemon that would've been quite beneficial in a regular Nuzlocke be traded for early game Pokemon that serve no purpose in a competitive team, I simply became frustrated by the whole process. My team didn't change at all once I trained up the Level 1 Gible to a Garchomp. My final team was so over-leveled that nothing really came close to beating me towards the end. I had a few scares, but I lost nothing until the Elite Four. I did end up keeping my full team from the play-through, plus the Slowpoke (which took a King's Rock and became Slowking), the Drought Vulpix, the 4 IV Venipede, and a couple of other Pokemon that brought extra copies of Mega Stones over to my copy of Pokemon X. I decided to keep my Delphox, despite the fact that fainted Pokemon are usually released at the end of a Nuzlocke. I was originally going to trade off my team as a New Year’s gift, but after how miserable the second half of the game's Wonder Trades were, I said screw it, beat the game and said goodbye. It was a very successful challenge, and I had fun with the team that I built. But I took few risks and always used a lot of Potions. I was super cautious because I didn't want to lose anyone, and I got lucky that I lost my first Pokemon on Wikstrom. But the Wonder Trade needs to be cleaned up before a Wonderlocke is truly fun. There's too much randomness, and yes, that is part of the challenge. But when the Wonder Trades become annoying and not adding to the experience, it's just not worth it. I will be doing a Standard Nuzlocke very soon, and I pretty much guarantee that will be a lot more fun. As awesome as the Wonder Trade is as a tool to offload extras from breeding or giving out some nice freebies to people, for a challenge, it's pretty awful. That and if you get a Mawile, you pretty much just win.